This is it! 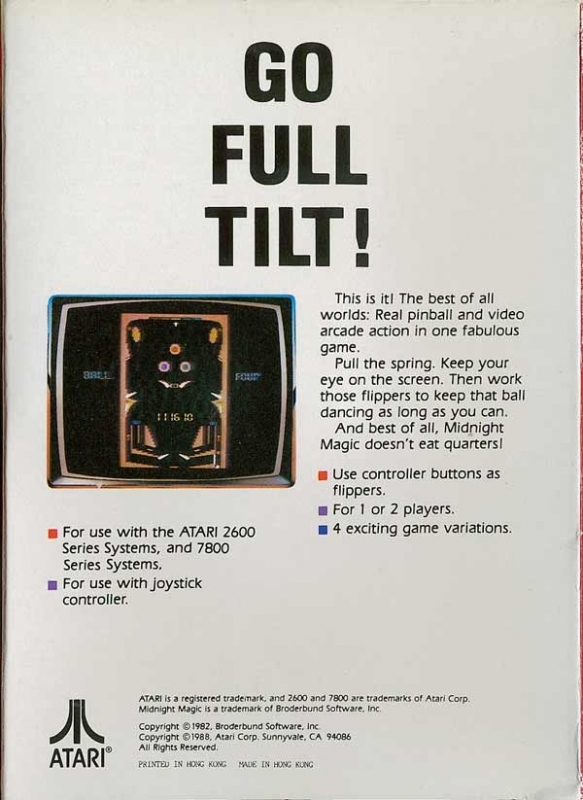 The best of all worlds: Real pinball and video arcade action in one fabulous game! Pull the spring. Keep your eye on the screen. Then work those flippers to keep that ball dancing as long as you can. And best of all, Midnight Magic doesn't eat quarters!